Open Minds UFO Radio: Jeremy Corbell is an investigative filmmaker and runs the website ExtraordinaryBeleifs.com. Many of his projects, including his most recent, focus on the paranormal and UFOs. In September, Corbell released his film Hunt for the Skinwalker based off of the 2005 book of the same the same name. Much of this film included archival footage and reports from Las Vegas reporter George Knapp, who along with scientist Colm Kelleher, author the Skinwalker book. However, the subject of this episode is Corbell’s latest project based on Bob Lazar, the alleged whistleblower whose claims made Area 51 famous. 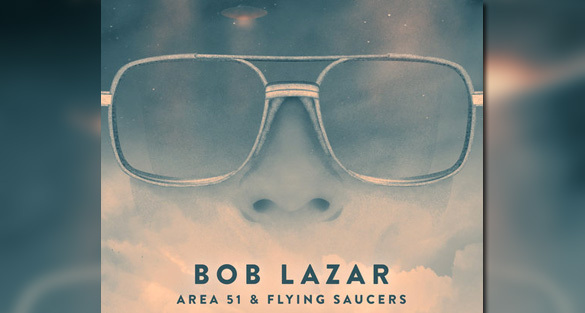 The film is titled Bob Lazar: Area 51 and Flying Saucers, and is set to premiere on December 3, 2018. Lazar claims that he worked at a secret underground lab called S-4 near Papoose Lake, just south of Area 51. Everyday he would fly into Area 51 and be bused to S-4. At this base, he says he worked back-engineering advanced propulsions systems on a craft he says could only have been made by alien technology. In this episode, Corbell discusses how the film came about and his approach to tackling the controversial subject. Well I hate to be this guy but I think it needs to be said. Jeremy repeats story after story how Knapp or Lazar is genuine. I get it. I don’t need half the podcast on every outlet to be him telling how their actions are real. Multiple podcasts from both the Skinwalker and now Lazar story is filled with Jeremy telling us over and over the trouble he had getting people to open up, to prove to them the story will be honestly presented. I don’t need him to give the movie away but the interviews are boring as he tells story after story of winning people over. Ok but that’s not making me intrigued about the movie. I appreciate Jeremy and his efforts but the meal needs more spice, and less focus on I earned their trust…the subject matter is fascinating, yet the interviews don’t sell that. That said, I’ll still buy it, but these interviews are about a guy who saw the USA with ET spacecraft, but the interviews don’t tap into that incredible story or bring other witnesses in to convince us. Anyway just my two cents of criticism, hopefully taken as constructive.